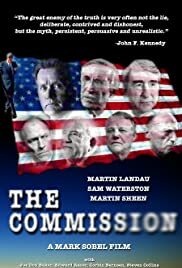 Using transcripts from the Warren Commission Report, this film documents the workings of the Warren Commission, which investigated the assassination of President John F. Kennedy in 1963. Mark Sobel's The Commission provides an insightful look into a period of US history around which many doubts and shadows have been cast. His interpretation of how events unfolded around the Warren Commission is worth seeing. He does a remarkable job using primary source material to comprise nearly 100% of the film. There is significant historical value in Sobel's approach for anyone interested generally in US history or specifically in the JFK assassination. The impact of watching actual real-time footage combined with Sobel's rendering of the Warren Commission's inner-workings is compelling. It will perhaps encourage viewers to consider whether the US system of appointing commissions to study important events is the best and most valid approach to answering difficult questions.